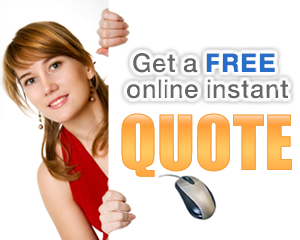 Getting a Custom Sign Quote is fast, easy and hassle-free. You don't need to fill out an elaborate form. You don't have to wait for a salesman to call you back. 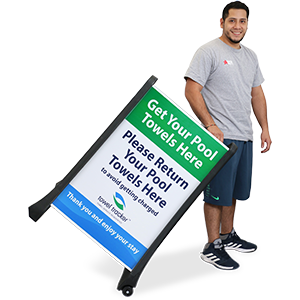 Get an instant custom signage quote in just seconds. • Just fill out the size, shape, colors and quantity and we'll give you an instant price on suitable sign materials for your project. 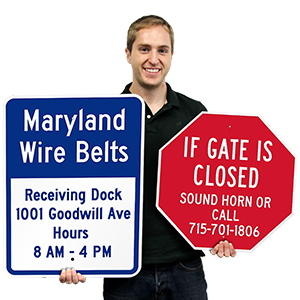 • We offer, in one place, the web's largest assortment of custom sign materials. 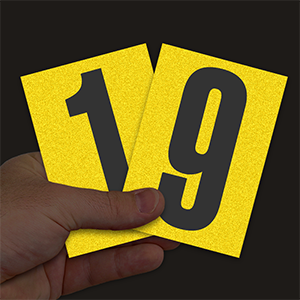 From slip-proof floor signs to above-door projecting signs, you are sure to find just the right custom sign material. • Most custom signs are made in a day or two. We also offer free art service. Let's us take your sketch and turn it into a professional sign design (at no charge and with no obligation!). • To start, click any of the custom sign materials below. • Custom metal signs last 10 years outside. • Sizes up to 5’ across. • Millions sold every year. • Plastic, aluminum, vinyl, magnetic or photoluminescent. • Three grades: civic, traditional and novelty. • All use 3M materials. These are not flimsy signs with stick on letters. • Same official signs used by countless cities and states. • Use above doors or in hallways. • Arrow points out emergency equipment locations. • Metal signs outlast plastic. • Sizes range from 6” x 12” to 18” x 24”. • 3M Authorized maufacturer for parking signs. • We will turn any legend or logo into stencil-ready design. • Sizes up to 4’. • Easy to clean polyethylene. • Standard or customized sizes. • No extra cost for extra lettering. • Signs made in one day. • See from both sides. • Use for room names along a corridor. • Lots of color choices. • Brass is the ultimate mark of quality. • Two different grades: photographic and deep engraved. • No extra charge for extra text. • Our most noticeable signs.